Draft: 2011, Toronto Blue Jays, 32nd rd. Kevin Andrew Pillar ... Resides in Scottsdale, AZ with his wife, Amanda, and daughter, Kobie ... Was an All-American center fielder at California State University Dominguez Hills in Carson, California...Majored in mathematics... Set the NCAA Division II record with a 54-game hitting streak for the Toros in 2010 and established the school's all-time record with a career batting average of .367 ... Participated in the 2016 and 2019 Blue Jays Winter Tours ... Played in the 2018 Japan All-Star Series where he went 4-for-12 (.333). Hit a career-high 40 doubles to lead the team (11th in AL)...Is one of eight Blue Jays all-time with 4+ 30-double seasons ... Also set career highs with 57 extra-base hits and 59 RBI ... Led the team with 129 hits and 36 multi-hit games ... Homered on Opening Day (March 29 vs. NYY) for the 1st time in his career ... Became the 1st player in franchise history to steal 2nd, 3rd, and home, all in the same trip around the bases, on March 31 vs. NYY... The feat had been accomplished just three other times since the 1999 season... The straight steal of home was Toronto's first since Aaron Hill swiped home on May 29, 2007 vs. SEA...The game was also Pillar's first three-steal effort ... Doubled and tripled on April 27 vs. TEX for his 2nd multi-XBH game of the season (two doubles on April 18 vs. KC)…Also hit a triple on April 7 at TEX to match his career best (2-3B in 2015 and 2016) ... Had 32 hits in March/April to rank T-11th in the AL... His 63 hits in March/April over the last two seasons were 4th most in the AL ... Had each of his 10 hits go for extra-bases (6-2B, 1-3B, 3-HR) from April 24-May 1, one shy of a franchise record (Jose Cruz Jr. - 11 in 2000) ... Connected for his 2nd home run of the year on April 28 vs. TEX…Had gone 24 games without a homer, his longest streak since May 5-June 6, 2016 (26G)…Later hit a solo shot in the 9th for his 3rd career multi-HR game (last: June 16, 2016 at PHI)…His latter HR went to right field, which was just the 2nd time in his career to have hit an opposite-field homer (also July 5, 2017 at NYY) ... Hit his 4th HR on April 29 vs. TEX, homering in back-to-back games for the 2nd time in his career, also doing on April 22 and 23, 2017 at LAA…Had three home runs in a two-game span for the 1st time in his career ... Recorded a four-game RBI streak from April 26-29, one shy of a career high (June 29-July 2, 2011) ... Tied career bests with four hits (4th time) and four RBI (3rd time) on July 13 at BOS ... Landed on the DL from July 15-Aug. 2 with a right sternoclavicular joint strain ... Hit a two-run blast in the 10th inning on Aug. 7 vs. BOS, his 1st career extra-inning homer ... On Aug. 14 at KC, notched his 10th HR of the season and the 50th of his career...Was his first road home run since Sept. 15, 2017 at MIN ... Won the game on Sept. 7 vs. CLE with a walk-off solo home run in the 11th inning... Marked his 3rd career walk-off hit, his 2nd walk-off HR (also May 14, 2017 vs. SEA) and his 2nd extra-inning HR... The 440-foot homer was also the 2nd longest of his career (July 23, 2017 at CLE-451) ... On Sept. 17 at BAL, hit his 14th home run and tied his career high at 56 RBI (2015) ... Recorded his 15th homer on Sept. 24 vs. HOU, one shy of his career high (16 in 2017). Set career highs in doubles (37), home runs (16), extra-base hits (54), walks (33) and strikeouts (95) ... Led AL center fielders in doubles and ranked 3rd in extra-base hits ... Hit 20 doubles vs. left-handed pitching, the 2nd most in the Majors (J. Ramirez-22)…Hit .336 (48-for-143) vs. lefties overall (7th in AL) ... Batted .316 (54-for-171) with 24-XBH when leading off an inning (.384 OBP, .550 SLG)…The 54 hits ranked 5th in the AL ... His nine 3+ hit games were tied with Josh Donaldson for the most on the team…Also tied Kendrys Morales for the most 4+ hit games (2) ... Ranked 2nd among ML center fielders with a .997 fielding percentage and 15 defensive runs saved ... Tied for 2nd among AL-CF with eight outfield assists ... Stole 15 bases to lead the team ... Hit three doubles in a game for the 1st time in his career on April 18 vs. BOS, which was also his 1st 3-XBH game ... Recorded back-to-back three-hit games on April 18 and 19, the 4th time in his career to accomplish the feat ... Stole two bases on April 19 vs. BOS and was one of just two Toronto players with a multi-steal game in 2017 (Travis: April 27 at STL - 2SB) ... Homered in back-to-back games for the 1st time in his career on April 22 and 23 at LAA ... Matched a regular season career high with an 11-game hitting streak from April 12-23 (also June 16-27, 2015) ... Put together a 16-game on-base streak from April 12-28, a single-season career high ... Reached base safely five times for the 1st time in his career on April 28 vs. TB (4-for-4, 2B, HR, BB)…Scored three runs for the 1st time in his career...The four hits tied a personal best as well (also July 2, 2015 vs. BOS)…Hit his 4th HR of the season (1R) and recorded 3-XBH in a game for 2nd time in his career (both in 2017, also 3-2B on April 18 vs. BOS) ... Hit his 1st career walk-off home run on May 14 vs. SEA...Became the first Toronto CF with a walk-off HR since Vernon Wells on July 20, 2006 vs. NYY...Became the first Toronto leadoff hitter to do so since Reed Johnson on May 24, 2005 vs. BOS ... Suspended two games by the team for an on-field incident at ATL on May 17…Hit .305 up to that point (10th in AL) with 51 hits (3rd in AL) ... On June 7 at OAK, hit his 8th HR (58th game) to surpass his total from 2016 (7-HR in 146G)…The 3R-HR was his first with more than one man on base since May 6, 2016 (3R) ... Reached base four times (3H, BB) for the 2nd time of the year on June 25 at KC (April 28 vs. TB - 4H, 1BB)…Recorded his first XBH vs. a RHP since June 7 at OAK, span of 12 games in between ... Snapped a season-long 0-for-12 drought with a pinch-hit double on July 3 at NYY ... Doubled twice on Aug. 18 at CHC and became the first Blue Jay with three straight 30-2B seasons since Lyle Overbay had five straight from 2006-2010 ... Collected four hits in a game for the 3rd time in his career on Sept 9 vs. DET (4-for-4, HR, 2RBI) ... Hit his 16th home run on Sept. 15 at MIN, giving him four more than his previous career high from 2015…Marked his 8th HR to lead off an inning. Ranked 1st among ML CF with 21 DRS (Defensive Runs Saved) and a UZR (Ultimate Zone Rating) of 21.4...Had three hits & stole two bases for the 2nd time in 2016 (5th career multi-SG game) Sept. 19 at SEA...Recorded back to back three hit games from Sept. 19-20, the third time in his career to accomplish that feat (2nd time this year)... Placed on the DL for the first time in his career on Aug. 8 (retro to Aug. 7) with a left thumb strain...Would later undergo offseason surgery to repair a torn thumb ligament...Hit his second career postseason home run in game 2 of the ALDS vs. TEX off of Yu Darvish... Had just three hits in 32 at-bats in the postseason, including going only 1-for-16 in the ALCS...Recorded his 2nd career multi-HR game June 16 at PHI, his first since June 2, 2015 at WSH (GM 2 of DH, both off Scherzer)... Snapped a career-high 0-for-22 hitless streak on May 22 at MIN with a double in the 2nd inning...Homered in the the 8th inning May 6 vs. LAD, which, at the time, marked only the 2nd time in 2016 that a player had hit a go-ahead homer immediately following an intentional walk (Smoak) - April 29, Oakland's Yonder Alonso delivered a three-run walkoff HR vs. HOU...Hit his first HR of the season April 30 at TB off Romero -1R after going 90AB without a HR. Earned Wilson Defensive Player of the Year for his efforts in CF, the only AL player among the nine winners in 2015. Was named AL Player of the Week September 28 as he hit .524 (11-21) with 5-2B, 2-HR, 6-RBI & 5-SB over six games from September 21-27. Hit his career-high 12th home run of the season September 25 vs. TB. Had 1-RBI & 1-SB in four straight games (September 22-26), the first Jay to accomplish that feat since Rickey Henderson in 1993. Stole 12 consecutive bases without being caught from July 21-September 26…Led the team with 25 stolen bases, a career-high. Finished the season with 46 multi-hit contests, second most on the team behind Donaldson (57). Appeared in 159 games, the most on the team…Ranked 2nd on the team in hits (163), T-2nd in doubles (31) and was one of seven Blue Jays with 10+ HR. His 8th HR of the season, August 26 at TEX... Was his first HR since July 4, a span of 154 at-bats between home runs- the longest stretch of his career. His 10 outfield assists was T-9th among AL outfielders…Finished 2nd among AL outfielders with 21 defensive runs saved (Kiermaier-42). Was named Honda Player of the Month for June by the Toronto Chapter of the BBWAA…Finished the month with a .365 average (35-96), 4th in the AL…His 35 hits that month was T-4th among AL players & T-10th in RBI (18)…Had never recorded an average above .295 for any individual month in his career (September 2014). June 2 at WSH (GM2) had his 1st career multi-HR game after clubbing HR 3 & 4 (both off of Scherzer)…His 4-RBI marked a career-high. Batted .278 vs. both LHP and RHP. Recorded a hit in the first four games of the playoffs to extend his hitting streak to 14-games, before having that streak snapped in game five of the ALDS vs. TEX…That 14-game hitting streak set a new career-high (previous: 11-games, June 16-27, 2015)...Had also reached base in 22 consecutive contests dating back to the regular season. Collected three hits in game four of the ALDS, becoming the first Toronto player to record three hits in a game since Paul Molitor and Roberto Alomar in game six of the 1993 World Series. His seven hits in the ALDS ranked T-2nd among all ML hitters in the first round of the playoffs…Recorded 12 hits in the postseason, T-10th most in club history. Six of his 12 hits in the postseason went for extra bases (5-2B, 1-HR)…Ranked T-6th in XBH in the playoffs this year. Hit his first career postseason home run in game four of the ALDS at TEX. 11 of his 31 hits this season went for XBH (9-2B, 2-HR)...After his final promotion on Aug. 26, he hit .290 (22-76) with hits in 15 of his 23 games (with AB), 6-2B, 2-HR & six multi-hit efforts...Hit .304/.327/.457/.783 in 49 PA (46AB) vs. LHP this season...Batted .240 (18-75) at home, while hitting .317 (13-41) on the road...From the 7th inning on he hit .333 (14-42) with an .897 OPS in 43 PA...In September, he hit .295/.338/.443/.781 in 65 PA...Did not commit an error in his 73 TC this season, and has not committed an error in 131 TC over his career...Hit his 2nd home run of the season (1R off Rodney) Sept. 25 vs. SEA… Both of his HR this season came against SEA...Was recalled from Buffalo (AAA) Aug. 24 where he hit .323 in 100G this season… Among International League leaders, finished 1st in doubles (39), 3rd in average (.323) and extra-base hits (52)...He hit a walk-off RBI single in the 9th inning, driving in Kratz from 2nd June 9 vs. MIN...Recorded a career-high three hit game May 22 at BOS… Had another three-hit game on Sept. 9 vs. CHC. Made his Major League debut on August 14 vs. BOS in a 4-3 extra innings win. Began his professional career going 0-for-17 which was the 3rd longest drought to begin a Toronto career in club history. Collected his 1st home run in the majors August 24 at HOU (3R off of Peacock). Recorded 155 hits to lead the organization for the 2nd consecutive year. Led the Eastern League (AA) with 95 hits prior to being promoted to Buffalo (AAA). Began the year in New Hampshire, appearing in 71 games for the Fisher Cats while leading the team with a .313 batting average, 15 stolen bases, 20 doubles and a .802 OPS…He also had 12 outfield assists for New Hampshire at the time of his promotion. Played winter ball in the Dominican Republic posting a .227 average in 15 games. Was promoted to Dunedin (A) from Lansing, batting .323 with 16 stolen bases, in 42 games. Total of 51 steals was the second-most in the Blue Jays organization, and 10th-most in the minor leagues. Played all three outfield positions. Was named Midwest League Most Valuable Player, also garnering mid-season and post-season All Star honours, and being named the best hitting prospect in the Midwest League by Baseball America. Was also named a Topps Class A All Star and an MiLB.com Organization All Star. Played for the Salt River Rafters in the Arizona Fall League, batting a team-leading .371. Won the Appalachian League batting title and led the organization in average (.347)... Was named an Appalachian League All-Star and holds the team's all-time records for batting average, on-base percentage (.377), and slugging percentage (.534). Was promoted to Vancouver for its playoff run, and batted .391 to help the team win the Northwest League title. April 2, 2019 Toronto Blue Jays traded CF Kevin Pillar to San Francisco Giants for 2B Alen Hanson, RHP Derek Law and RHP Juan De Paula. August 3, 2018 Toronto Blue Jays activated CF Kevin Pillar from the 10-day injured list. July 15, 2018 Toronto Blue Jays placed CF Kevin Pillar on the 10-day disabled list. SC joint sprain. May 20, 2017 Toronto Blue Jays activated CF Kevin Pillar from the restricted list. May 18, 2017 Toronto Blue Jays placed CF Kevin Pillar on the restricted list. August 23, 2016 Toronto Blue Jays activated CF Kevin Pillar from the 15-day disabled list. August 20, 2016 Toronto Blue Jays sent OF Kevin Pillar on a rehab assignment to Dunedin Blue Jays. August 8, 2016 Toronto Blue Jays placed CF Kevin Pillar on the 15-day disabled list retroactive to August 7, 2016. Left thumb sprain. August 26, 2014 Toronto Blue Jays recalled CF Kevin Pillar from Buffalo Bisons. June 25, 2014 Toronto Blue Jays optioned LF Kevin Pillar to Buffalo Bisons. June 24, 2014 LF Kevin Pillar assigned to Buffalo Bisons. June 23, 2014 Toronto Blue Jays recalled Kevin Pillar from Buffalo Bisons. June 11, 2014 Toronto Blue Jays optioned LF Kevin Pillar to Buffalo Bisons. May 13, 2014 Toronto Blue Jays recalled Kevin Pillar from Buffalo Bisons. March 22, 2014 Toronto Blue Jays optioned LF Kevin Pillar to Buffalo Bisons. 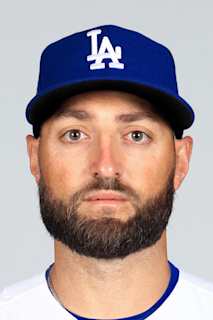 December 2, 2013 OF Kevin Pillar assigned to Leones del Escogido. August 14, 2013 Toronto Blue Jays selected the contract of LF Kevin Pillar from Buffalo Bisons. June 21, 2013 Kevin Pillar assigned to Buffalo Bisons from New Hampshire Fisher Cats. April 1, 2013 Kevin Pillar assigned to New Hampshire Fisher Cats from Dunedin Blue Jays. March 6, 2013 OF Kevin Pillar assigned to Toronto Blue Jays. July 15, 2012 Kevin Pillar assigned to Dunedin Blue Jays from Lansing Lugnuts. March 31, 2012 Kevin Pillar assigned to Lansing Lugnuts from Vancouver Canadians. September 6, 2011 Kevin Pillar assigned to Vancouver Canadians from Bluefield Blue Jays. June 21, 2011 Kevin Pillar assigned to Bluefield Blue Jays from Toronto Blue Jays. June 19, 2011 Toronto Blue Jays signed OF Kevin Pillar.